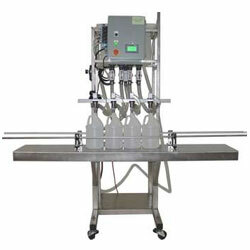 We are the chief manufacturers of Packing Machine for Liquid. These are manufactured utilizing excellent quality materials together with the cutting-edge technology as per the norms of the industry. These are meticulously checked by the experts at our Q.C department at every phase of the manufacturing process. Hence they are if optimum quality and offer high performance. We supply them in different volume capacities. These are applicable for packing viscous and non-viscous liquid substances. They offer optimal functionality and are easy to use due to their modern PLC control based systems as well as automatic hopper level control system. These have safe operation arrangement. 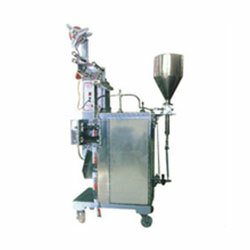 These cost-effective machines are available with us at affordable rates.